What a treat! An exclusive LIVE episode featuring Paul Adler, Silvia Dorado and Marc Ventresca talking about management classics. 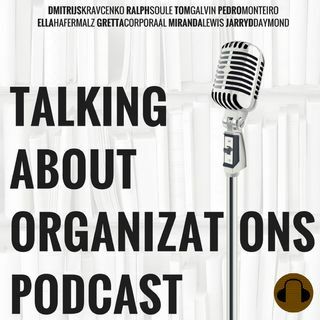 This was recorded from a PDW hosted by Pedro at the 2018 AoM Annual Meeting in Chicago, the purpose of which was to raise interest towards classic authors/ideas in the field of organization and management theory. It offered scholars from all levels the opportunity to reflect on insights of earlier scholarship and their relevance for current research, complementing ... Más informaciones the strong emphasis (on new ideas and approaches. This is of great importance as the field has thus far been more attentive to disruptions than continuities; pursuing novelty over tradition. In the workshop, senior scholars presented talks on four classic authors (Karl Marx, Mary Parker Follett, Mary Douglas, and Albert Hirschman) to discuss their contemporary relevance. This was followed by a roundtable discussion limited to fifty participants. The workshop demonstrated how attentive (re)readings of classic scholarship reaffirm time and time again their enduring importance. The discussion provided valuable insights on central organizational research problematics (e.g., coordination and control), stimulated complex thinking, enabled analytical comparisons between current and past phenomena (e.g., industrialization and digitization), and serve as ‘exemplars’ of academic excellence and of research that is problem-driven and focused on real-world issues.